Google says it will use artificial intelligence to power Google News. The newly relaunched news curation service will use "a new set of AI techniques to take a constant flow of information as it hits the web, analyze it in real time and organize it into storylines," Google News lead Trystan Upstill wrote in a blog post Tuesday. "This approach means Google News understands the people, places and things involved in a story as it evolves, and connects how they relate to one another," he wrote. Silicon Valley's biggest tech companies are all vying to become the leading digital news platform, and all use AI to curate content. But Google says the new Google News will go even further than others in harnessing the power of machine learning. In the wake of the rise of fake news spread by platforms like Facebook during the 2016 election and general fears about social media's effects on the way people consume news and information, there is likely to be intense scrutiny on how Google's AI performs. Google News says it will draw content from "trusted news sources," though it's not exactly clear what qualifies as a trusted news source. 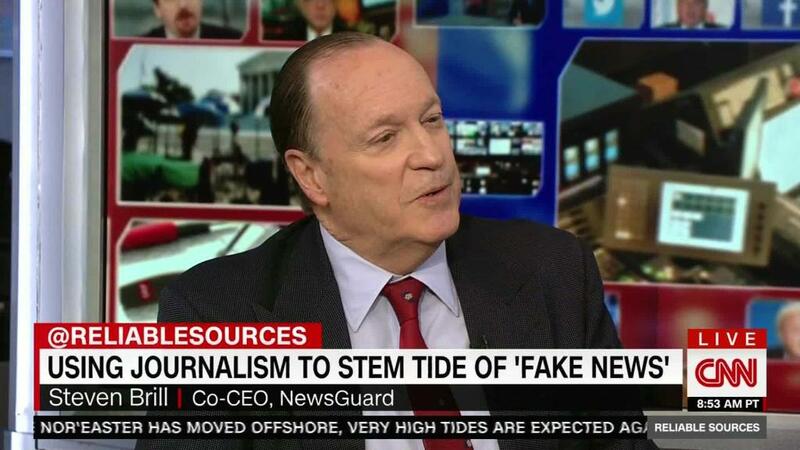 The service will not use human editors, nor will it partner with specific news organizations, spokesperson Maggie Shiels told CNNMoney. Google's AI will also be responsible for separating content into news, opinion and analysis. Shiels says this is key in helping to find and organize content, but wouldn't say what its success/failure rate was in testing. The emphasis on "authoritative sources" means Google may be able to avoid with News the problem it's had with YouTube, where automated recommendations have tended to push people toward more extreme content. Shiels said Google News will offer an "unfiltered view" that provides all updates on a story, including "tweets, video, opinion, timeline, faqs, analysis, fact checks and a stream of more news," as well as a "daily briefing" that gives everyone the same top stories and includes stories that matter to users." A headlines section at the bottom of the tab will be "the same for everyone -- key to ensuring that everyone has access to the same information," she said. In a separate blog post, Google CEO Sundar Pichai said Google News will bring users the news they care about "from trusted sources" while still providing "a full range of perspectives on events."